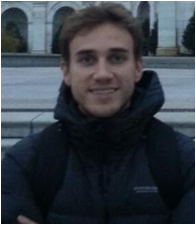 Gabriel Guimarães Carvalho presented a thesis “A walk through mathematical physics with disformal trasformations and scalar field self-force effects on a particle orbiting a Reissner-Nordström black hole", and defended it on February 13th, 2017. Commission members: Prof. Dr. Massimo Testa (University of Rome "Sapienza", Italy), Dr. Roberto Natalini (CNR – Rome) and Dr. Giampiero Esposito (INFN – Naples). Thesis Advisor Prof. Dr. Remo Ruffini, Co-Advisor Prof. Donato Bini. This doctorate thesis is divided in two parts. The first part presents a thorough and original study of the algebraic and geometric properties of what is known as disformal metrics. Such disformal metrics arise in scalar-tensor theories of gravity, in which scalar field derivatives are coupled to the metric. The usual conformal transformation are there extended to a more general mapping of the metric, dubbed the disformal transformations. A new formalism for such metrics is developed and two physical applications are given. The first application concerns the disformal invariance of the Dirac equation. The second application, the new formalism developed for disformal metrics is used as the mathematical framework for the description of a phenomenological approach to quantum gravity known as rainbow gravity. In the second part, scalar field self-force effects on a scalar charge orbiting a Reissner-Nordström black hole are investigated. The scalar wave equation is solved analytically in a post-Newtonian framework, and the solution is used to compute the self-field as well as the components of the self-force at the location of the particle up to 7.5 post-Newtonian order. The energy fluxes radiated to infinity and down the hole are also evaluated. A comparison with previous numerical results in the Schwarzschild case shows a reasonable agreement in both strong-field and weak-field regimes. This thesis is particularly interesting in light of the recent claim about the first observation of gravitational waves with the event GW150914, which has made the problem of the gravitational radiation one of the hottest topics in relativistic astrophysics. 1. D. Bini, G.G. Carvalho and Andrea Geralico; "Scalar field self-force effects on a particle orbiting a Reissner-Nordström black hole", Phys. Rev. D 94, 124028 (2016), IF: 4.506. 2. G.G . Carvalho , I. P. Lobo and E. Bittencourt - “Extended disformal approach in the scenario of rainbow gravity”, Physical Review D 93, 044005 (2016), IF: 4.506. 3. E. Bittencourt, I. P. Lobo, G.G. Carvalho - “On the disformal invariance of the Dirac equation”, Class. Quantum. Grav. 32, 185016 (2015) IF: 2.837. Originally Gabriel Guimarães Carvalho is from Universidade Federal de Pernambuco Recife, PE, Brazil. ICRANet has a collaboration agreement with this University. The fellowship for this PhD study was provided by CAPES within the CAPES-ICRANet program. For more information please see the thesis and the video of thesis discussion. 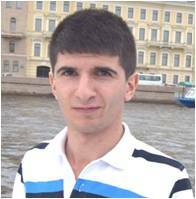 Iarley Pereira Lobo presented a thesis “Geometrical approach to Planck-scale deformations of phase spaces", and defended it on Friday February 24th, 2017 at the University of Rome "Sapienza". Commission members: Prof. Paolo Pani (University of Rome "Sapienza", Italy), Prof. Salvatore Mignemi (University of Cagliari, Italy); Prof. Stefano Liberati (Sissa Trieste). 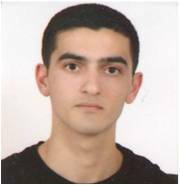 Thesis Advisor: Prof. Giovanni Amelino-Camelia. In this thesis some semi-classical properties of Quantum Gravity are described by the use of non-trivial geometries as a common language. Deformed interactions that emerge from the deformation of the Lorentz symmetry by means of curved momentum spaces are described. In particular, the problem of how particles would interact if momentum space had an anti-de Sitter geometry is considered: it is shown that some usual paths followed in the de Sitter momentum space literature could not be followed in the anti-de Sitter case due to some internal inconsistencies, and some alternative scenarios that could be considered are presented. Regarding spacetime, also a link between the disformal metrics literature and the Rainbow Gravity one is exhibited, that is consistent with the deformed causal structure, presents an inherent group structure and is intrinsically covariant under coordinate transformations. Finally, an alternative way of describing the natural spacetime for Modified Dispersion Relations is presented by means of a generalized Finsler geometry (which is intimately attached to variational techniques) with a well-defined massless limit, which allows to analyze its relativistic properties and to derive observables that are compatible with this picture. 1. E. Bittencourt, I. P. Lobo and G. G. Carvalho, On the disformal invariance of the Dirac equation, Class. Quant. Grav. 32 185016 (2015). 2. I. P. Lobo, A. B. Barreto and C. Romero, Space-time singularities in Weyl manifolds, Eur. Phys. J. C75 448 (2015). 3. G. G. Carvalho, I. P. Lobo and E. Bittencourt, Extended disformal approach in the scenario of Rainbow Gravity, Phys. Rev. D93 044005 (2016). 4. I. P. Lobo and G. Palmisano, Geometric interpretation of Planck-scale-deformed co-products, Int. J. Mod. Phys. Conf. Ser. 41 1660126 (2016). 5. I. P. Lobo, G. Palmisano and G. Amelino-Camelia, Geometric picture of DSR-relativisitc theories with de Sitter and anti-de Sitter momentum spaces,submitted to IJMP Conf. Ser. (2015). 6. I. P. Lobo, N. Loret and F. Nettel, Rainbows without unicorns: Metric structures in theories with Modified Dispersion Relations, arXiv: 1610.04277, submitted to EPJ C.
7. I. P. Lobo, Frame transformations in Brans-Dicke theory from the viewpoint of Weyl geometry, arXiv:1610.05004, submitted to IJMP D.
8. I. P. Lobo, N. Loret and F. Nettel, Investigation of Finsler geometry as a generalization to curved spacetime of Planck-scale-deformed relativity in the de Sitter case, Phys. Rev. D95 046015 (2017). 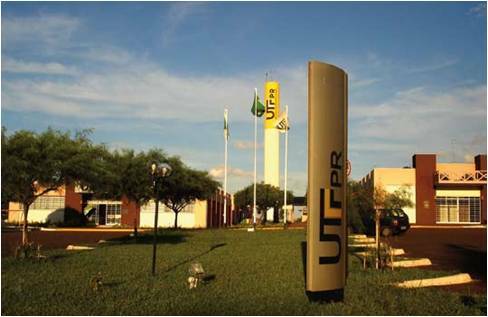 Originally Iarley Pereira Lobo is from Universidade Federal da Paraíba, João Pessoa, PB, Brazil. ICRANet has a collaboration agreement with this University. The fellowship for this PhD study was provided by CAPES within the CAPES-ICRANet program. For more information please see the thesis and the video of thesis discussion. 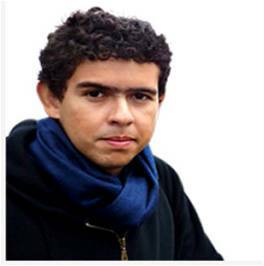 The thesis work of Gabriel Guimarães Carvalho and Iarley Pereira Lobo was successfully marked by the collaboration with Eduardo Henrique Silva Bittencourt, who co-authored two publications with them (no. 3 and no. 7 in the list below). 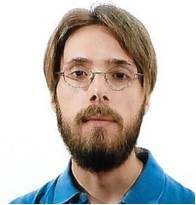 Eduardo Henrique Silva Bittencourt has visited ICRANet twice, from 20 of October to 23 of November 2011, and from 2 to 19 of October 2012, and then has been admitted to the CAPES-ICRANet Postdoctoral program. He worked at “Sapienza” University of Rome, from December 2013 to November 2015. He currently holds a Professor position at Universidade Federal de Itajubá (UNIFEI), Itajubá, MG, Brazil. ICRANet has a collaboration agreement with this University. 1. Bini, Donato, Bittencourt, Eduardo, Geralico, Andrea, Jantzen, Robert T, Slicing black hole spacetimes. International Journal of Geometric Methods in Modern Physics, Volume 12, Issue 7, id. 1550070, (2015). 2. Bini, Donato; Bittencourt, Eduardo; Geralico, Andrea, Massless Dirac particles in the vacuum C-metric, Classical and Quantum Gravity, Volume 32, Issue 21, article id. 215010 (2015). 3. G.G . Carvalho , I. P. Lobo and E. Bittencourt - “Extended disformal approach in the scenario of rainbow gravity”, Physical Review D 93, 044005 (2016). 4. Bittencourt, E.; Moschella, U.; Novello, M.; Toniato, J. D., More about scalar gravity, Physical Review D, Volume 93, Issue 12, id.124023 (2016). 5. Bittencourt, Eduardo; Pereira, Jonas P.; Smolyaninov, Igor I.; Smolyaninova, Vera N., The flexibility of optical metrics, Classical and Quantum Gravity, Volume 33, Issue 16, article id. 165008 (2016). 6. Santos, G. B.; Bittencourt, E.; Salim, J. M., Scalar perturbations in a Friedmann-like metric with non-null Weyl tensor, Journal of Cosmology and Astroparticle Physics, Issue 06, article id. 013, (2015). 7. E. Bittencourt, I. P. Lobo, G.G. Carvalho - “On the disformal invariance of the Dirac equation”, Class. Quantum. Grav. 32, 185016 (2015). On the 1st of February 2017 the 16th Steering Committee of ICRANet took place. 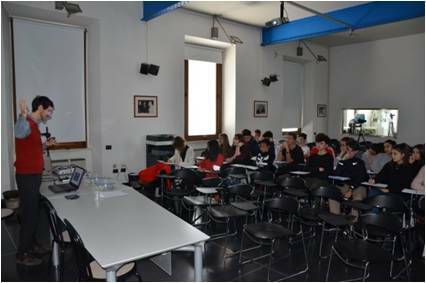 The following members were present: Prof. Ashot Kocharian (Representative of Armenia), Fabrizio Nicoletti, Cons. Enrico Padula, Prof.ssa Immacolata Pannone (DGSP Representatives of the Italian Ministry of Foreign Affairs and International Cooperation - Italy), Dr. Antonio Bartolini (General Government Accountancy IGAE Uff. IX - Representative of Ministry of Economy), Dr. Giulietta Iorio on behalf of Dr. Vincenzo Di Felice (Representative of Ministry of Education, Universities and Research), Prof. Carlo Luciano Bianco with the proxy of Prof. Remo Ruffini (Representative of ICRA), Prof. She Sheng Xue with the proxy of Prof. Xiaohui Fan (Representative of the University of Arizona in Tucson), Prof. Jorge Armando Rueda Hernandez with the proxy of Prof. C. W. Francis Everitt, Chairman (Representative of Stanford University), Ing. Carlo Pace (Representative of the Municipality of Pescara for the Mayor, Avv. Marco Alessandrini) and Prof. Remo Ruffini (Director of ICRANet). In addition ICRANet Auditors were present: Cons. dr. Giacinto Dammicco (Advisor, Italian Court of Auditors) and Dott.ssa Claudia Martinelli. Participated as observer also Dr. Piero Redolfi (Accounting consultant). 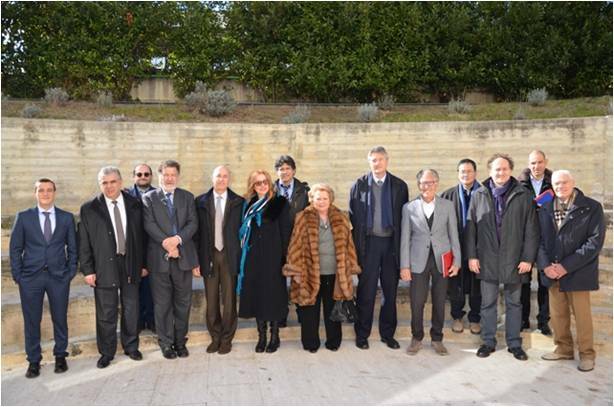 On the 17th of February was signed the agreement between ICRANet and the UTFPR, Federal University of Technology. This new agreement was signed by Prof. Dr. Luiz Alberto Pilatti, Rector of the University, and Prof. Ruffini, Director of ICRANet. This agreement will be valid for 5 years and the joint activities will consist of: to give in a mutual way scientific and cultural support; to develop joint investigation projects; to develop cooperation forms and actions in other areas of mutual interest; realization of staff and students exchange programs. For the agreement click here. 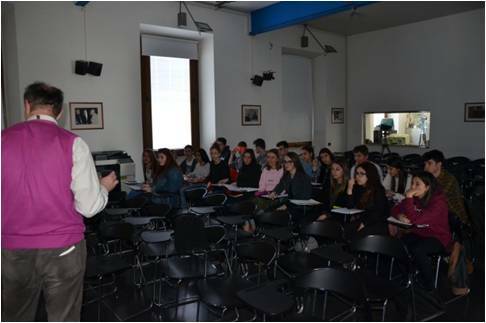 On February and March the ICRANet Center of Pescara has hosted the students of Science High School Galileo Galilei for three lectures related to the project “school-work”. In these three occasions the lectures were given by Dr. Alessandra Di Cecco on “Dangers, natural and artificial, that come from the space”, by Dr. Gregory Vereshchagin on “Big Bang: primordial cosmology and the formation of the large scale structure” and by Professor Costantino Sigismondi about spectroscopy, photometry, mathematical fits, physical models, scientific theory, and the Occam's razor. 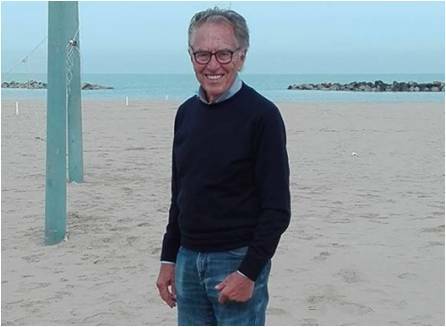 On March 28, 2017, Carlo Pace, member of ICRANet Steering Committee for the Municipality of Pescara, passed away. As Mayor of Pescara, he was characterized with a constant and passionate ample vision of the future development of Pescara and of Abruzzo. Since 1994 he expressed his will to host the ICRANet headquarters in the town of Pescara. He personally followed the restructuring of the ancient train station in to an international research center. In 2005 ICRANet was unanimously approved by the Italian Parliament. 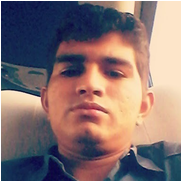 Carlo followed constantly, day by day, with great understanding and passion, ICRANet research and teaching activities. 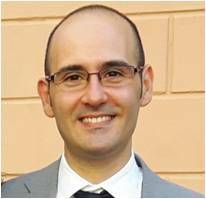 1) On February 21, 2017, Dr. Marco Merafina, of the Department of Physics, University of Rome La Sapienza, has given a seminar at the ICRANet center of Pescara, with the title: "Gravity and thermodynamics: a new point of view in the analysis of equilibrium and dynamical evolution of globular clusters". Dr. Merafina presented a new approach to theoretical study of the dynamics of globular clusters, by applying thermodynamic principles to a Boltzmann distribution function with an Hamiltonian function which contains an effective potential depending on the kinetic energy of the stars, due to the effect of tidal interactions induced by the hosting galaxy. In this theory new relations for the thermodynamical equilibrium in presence of a gravitational potential, a different form of the virial theorem are obtained, and the concepts of thermodynamic and kinetic temperature, pressure and chemical potential (the intensive quantities) are introduced. It is shown that a globular cluster can be described as a model containing regions with positive and negative specific heat producing thermodynamic instabilities which drive the systems towards the gravothermal catastrophe, without the necessity of an external thermal bath. The influence of the effective potential on the virial theorem is described, together with the related consequences on the gravothermal stability limit for star clusters through the analysis of the caloric curve and its critical points. This new limit is different from one obtained by Katz in 1978 and it is in complete accordance with the value related to the maximum of cluster distribution constructed by data from Harris Catalogue for globular clusters. Direct observation of gravitational radiation from astrophysical objects promises a revolution in astronomy and astrophysics, as it opens new observational window to the Universe. Recent claims on possible discovery of gravitational wave signals https://en.wikipedia.org/wiki/First_observation_of_gravitational_waves has attracted much attention in scientific community and general public. 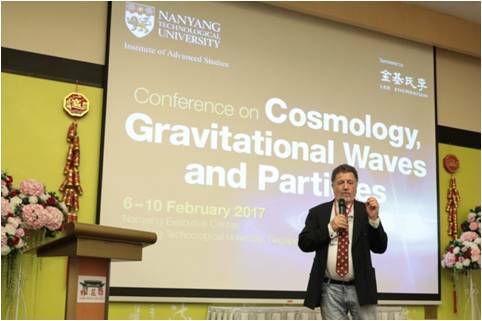 ICRANet invited two leading experts in this field to discuss theoretical progress in gravitation wave emission. 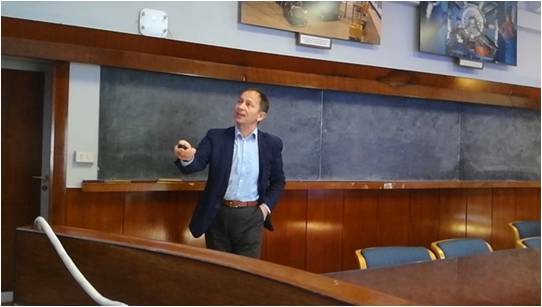 3) On March 6, 2017, Professor Luc Blanchet, Director of Research in CNRS - Institut d'Astrophysique de Paris, France, has given a seminar on “Gravitational waves and the two-body problem in GR” at the Physics Department, University of Rome La Sapienza. Prof. Blanchet is one of the leading theoreticians working on Post-Newtonian (PN) approximations to gravitational radiation in the general relativistic two body problem. In the seminar he presented most recent advances in this field. He underlined, that: "The theoretical and numerical works on the two-body problem in general relativity play a very important role when deciphering and interpreting the gravitational wave signals. In particular, state-of-the-art approximation methods in GR permit to build very precise and reliable gravitational wave templates to be used in the data analysis of detectors. The flagship of these methods is the post-Newtonian (PN) approximation which describes both the dynamics of two compact bodies (including black holes) and the gravitational radiation emitted." The school will take place in Nice from the 15 to the 19th of May. It is traditionally devoted to frontier topics in relativistic astrophysics and to the students of the IRAP PhD Program. 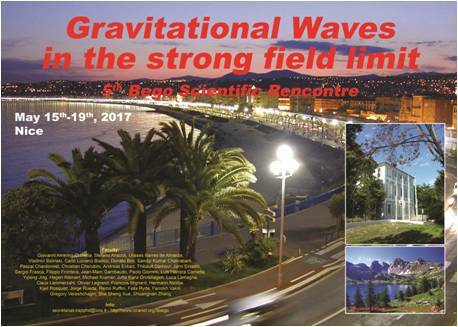 This meeting is dedicated to gravitational waves in the strong field limit and is open to all interested scientists and graduate students. We recall that the IRAP-PhD is coordinated by ICRANet, involving various universities and research centres, and the diploma are jointly delivered by all the universities participating in the program: University of Bremen (Germany), University of Ferrara (Italy), University of Nice Sophia Antipolis (France), University of Oldenburg (Germany), University of Rome “La Sapienza” (Italy), University of Savoie (France), University of Grenoble (France). Invited lecturers include: Donato Bini, Luc Blanchet, Christian Cherubini, Nathalie Deruelle, Simonetta Filippi, Mile Karlica, Jutta Kunz-Drolshagen, Claus Lämmerzahl, Felix Mirabel, Marco Muccino, Tsvi Piran, Jose Rodriguez, Jorge Rueda, Remo Ruffini, Narek Sahakyan, Gregory Vereshchagin, Yu Wang, She-Sheng Xue. 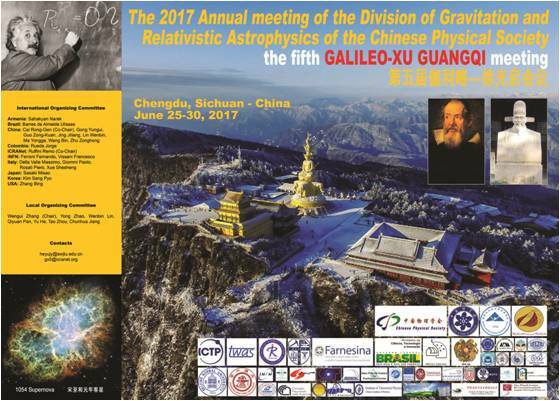 This year jointed with the annual meeting of the Division of Gravitation and Relativistic Astrophysics of the Chinese Physical Society, the fifth Galileo-Xu Quangqi meeting will be held in the School of Physical Science and Technology, Southwest Jiaotong University, at Chengdu – China on June 25 -30. The meeting is particularly dedicated to recall the roots of the modern scientific research in the East and the West and review the recent progress in one of the most advanced fields of scientific research: the one of relativistic astrophysics. We will review current progress in Relativistic Astrophysics made possible by astronomical observations of the Sun, of the Stars and of the Universe, and the current developments of theoretical studies of gravitation and cosmology as well as other fundamental physics. These results have been achieved thanks to the theories of Albert Einstein and to the unprecedented numbers of observational techniques: in X-ray, Gamma-ray, optical wave-lengths from space based observatories, in radio telescopes wavelengths from telescopes on the ground as well as in particle physics from underground observatories. The International Conference on Gravitational and Cosmology the fifth Galileo-Xu Guangqi meeting follows the 1st, 2rd, the 3rd and 4th meeting of this series held on October 2009 in Shanghai - China (http://www.icranet.org/galileo-xuguangqi), on July 2010 in Ventimiglia - Italy and Nice - France (http://www.icranet.org/3gx) and on May 2015 always in Beijing (http://www.icranet.org/4gx) – China. The goal is to create a forum for strategic exchanges between eastern and western science at the highest level dealing with relativistic astrophysics and related fundamental theoretical, experimental and observational fields. The aim is to enlarge the audience from the one strictly Chinese and Italian to one embracing European and western scientific interests and the eastern ones. Therefore a broader participation from Korea and Taiwan is encouraged, as well as a participation of scientists from Europe and the Americas. 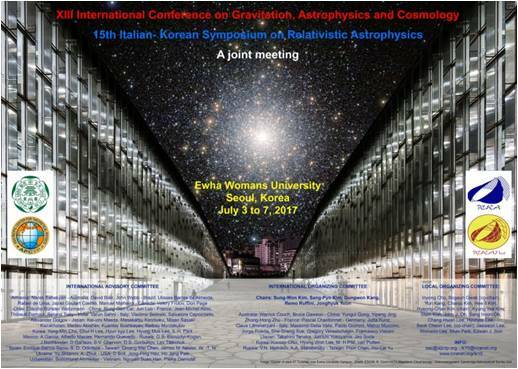 This symposium started in 1987, then continued for every two years alternatively in Korea and Italy with the support from Korea Science and Engineering Foundation (KOSEF), Consiglio Nazionale delle Ricerche (CNR), International Center for Relativistic Astrophysics Network (ICRANet) and hosting institutes. Main purpose of this symposium is to accelerate the exchange between scientists of Italy and Korea, especially young researchers. Traditionally, the subjects of this series of symposium have been mainly theoretical astrophysics, especially in the fields of relativistic astrophysics. In the symposium, results of relevant astrophysical observations and experiments, as well as their theoretical understanding will be presented, including gravitational wave detection experiments in which Korean astrophysicists are actively participating. 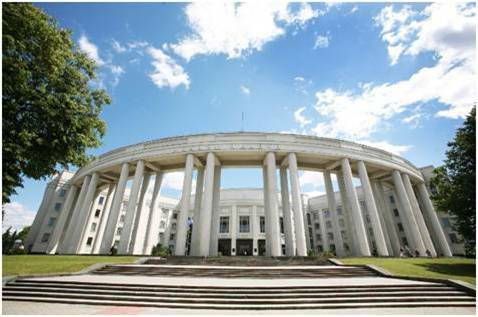 This year the symposium is held in conjunction with the XIII International Conference on Gravitation, Astrophysics and Cosmology (ICGAC-13), a series of biennial conferences on Gravitation, Astrophysics and Cosmology which takes place in the Asia-Pacific region with the goal to promote cooperation among the member countries and within an international context, to promote high level studies on hot topics and to encourage young physicists on these fields. 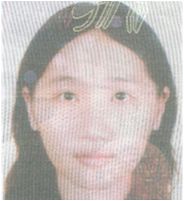 "After graduating on University of Zagreb in Croatia, I have enrolled in IRAP PhD program. While in a process of defining my thesis topic, I am currently working on gamma-ray bursts and my research interests also include general relativity, quantum gravity, black holes, dark matter and cosmology." 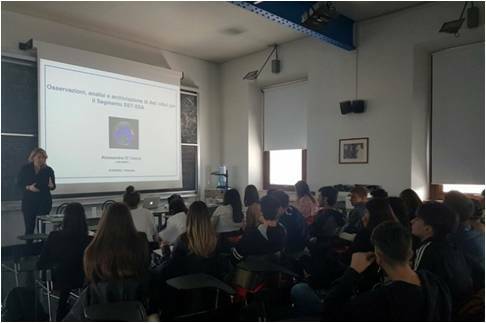 Master's Degree in Physics at Cagliari University with a thesis about simulations of observations of pulsars with the Sardinia Radio Telescope (SRT). 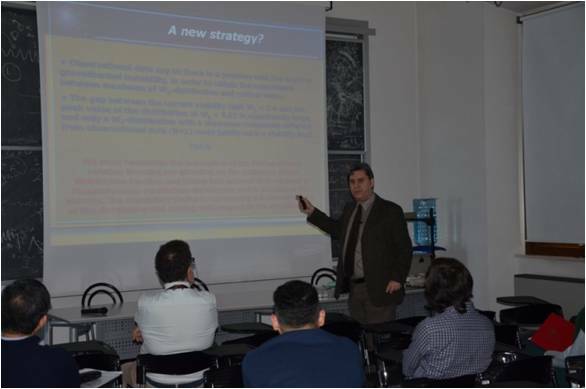 Graduate student enrolled in the Ph.D. programme in Physics at the Ferrara University (supervisor Cristiano Guidorzi). Main research topics: multiwavelength study of Gamma-Ray Bursts (GRBs), Fast Radio Bursts (FRBs), involvement in future astrophysical missions (HXMT, THESEUS). 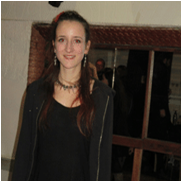 Bachelor's Degree in Physics at Napoli Federico II University with a thesis about gamma-ray bursts (GRBs). 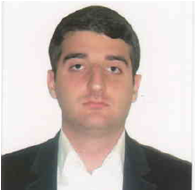 Graduate student enrolled at the Ph.D. programme in Physics at the Ferrara University (supervisor Cristiano Guidorzi). Main research topics: multiwavelength study and data analysis of GRBs and of the transient sky.